If you’re someone that enjoys watching and collecting movies, there’s a good chance that you’ve lost track of all of the titles you own. If you’d like to be able to keep track of all of your movies in a handy database that you can refer to whenever you’d like/need to, Portable Coollector Movie Database can help you accomplish that in an easy manner. Portable Coollector Movie Database not only lets you keep track of the movies you have on hand, it also allows you to search for a movie to watch, see the cast and crew, and so much more. It’s the perfect application for absolutely any movie enthusiast! - Gives you the opportunity to catalogue all of your movies so that you can quickly and easily see what you have on hand to watch whenever you’d like. - An incredibly simple to use interface that can be navigated by even the most basic computer users. - Gives you the opportunity to search for absolutely any movie you’d like to watch online. - Comes equipped with a wide database of films for you to search through. - Perfect for using when you can’t figure out what to watch at the theatre or on TV. - Allows you to view each film’s cast and crew as you’d like. - Gives you the opportunity to filter your searches as you need to in order to find exactly what you’re looking for. - Allows you to scan the barcodes of your movies if you’d like. Please note that your computer must be connected to the internet in order for the Portable Coollector Movie Database to function properly. 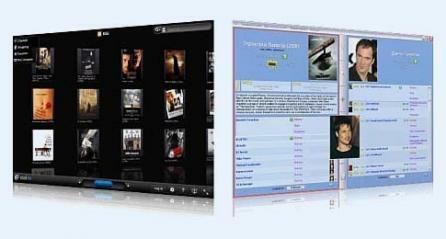 Industry’s leading CD, DVD and Blu-ray Disc burning software.